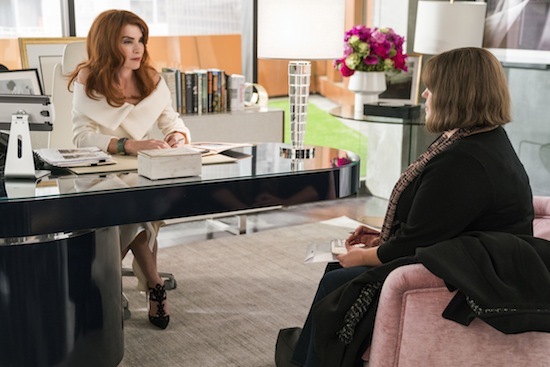 AMC premieres its new drama DIETLAND on Monday, June 4 at 9/8c, with back-to-back episodes. However, viewers don’t need to wait that long to get a taste of the series: the first 15 minutes of the series are officially available now. AMC’s DIETLAND, which is based on the 2015 novel of the same name, will debut with two back-to-back episodes on Monday, June 4 at 9/8c. 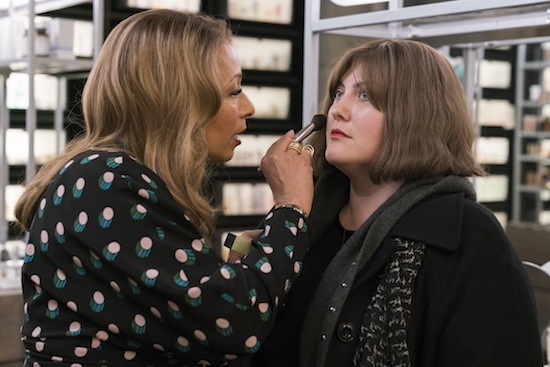 Per the network, DIETLAND “follows Plum Kettle (Nash), ghost-writer for the editor of one of New York’s hottest fashion magazines, as she struggles with self-image and sets out on a wildly complicated road to self-acceptance. At the same time, everyone is buzzing over news reports about men, accused of sexual abuse and assault, who are disappearing and meeting untimely, violent deaths.” The series also stars Robin Weigert, Adam Rothenberg, Tamara Tunie, Rowena King, Will Seefried, Ricardo Davila, and Tramel Tillman. Check out some photos from the first few episodes of the show!